Swiss authorities have executed an extrajudicial agreement signed between Peru and Montesinos' frontman. Peruvian authorities and Víctor Venero Garrido, the main frontman of former presidential advisor Vladimiro Montesinos, signed an out-of-court settlement to return approximately USD 15 million from Switzerland to Peru. The money comes from corrupt dealings during the 1990s and the case has lasted 17 years. This is the third and largest of the five accounts located in Switzerland whose assets will be returned to Peru. The Basel Institute was shocked and saddened to hear of the death of Rafael Merchan, the former Secretary of Transparency of Colombia, at his home over the Christmas holiday. In response to the recent wave of new electronic payment methods, including cryptocurrencies, the International Centre for Asset Recovery (ICAR) has developed training on money laundering using cryptocurrencies, particularly Bitcoin. At the invitation of the Romanian-American University in Bucharest, ICAR trainers delivered training on “Money Laundering using Cryptocurrencies and International Co-operation” for students during 27–29 November 2018. 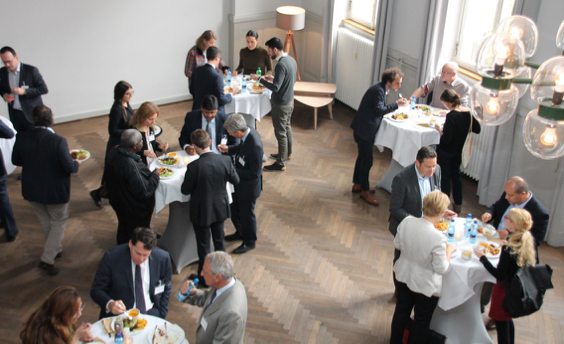 The Basel Institute on Governance is delighted to host the International Academy of Financial Crime Litigators. The Academy was created this year by Stéphane Bonifassi of Bonifassi Avocats (Paris), Lincoln Caylor of Bennett Jones (Toronto) and Elizabeth Ortega of ECO Strategic Communications (Miami). The workshop is organised jointly by experts from the Basel Institute’s International Centre for Asset Recovery (ICAR) and the Journalism Development Network (JDN) in the context of a three-year initiative on “Mapping and Visualising Cross-Border Crime” funded by the Swiss-Romanian Cooperation Programme. It will be held in Basel, Switzerland, on 13-14 February 2019 and conducted in English. Please note that only applicants from Switzerland are eligible to apply for the free spaces. See full workshop and application details here. The key objective of the two-day workshop is to enhance the capacity of participants from public sector law enforcement and investigative non-state actors to conduct financial investigations and apply asset-tracing techniques in relation to corruption and money laundering cases. Participants will learn about the concept of money laundering and the use of offshore structures to conceal the beneficial ownership of illicit assets, as well as investigative techniques in relation to corruption investigations. Emphasis will be placed on intelligence gathering and financial investigations to trace assets by using open-source information and technology tools. ICAR experts will focus on investigation techniques and the legal framework from a law enforcement perspective. Experts from RISE and OCCRP will provide case examples in exposing financial crime through the use of open sources in their capacity as investigative journalists. This event follows from several other successful workshops held in Basel and Bucharest since 2014 and attended by diverse participants. It’s been a great year is the title of our fourth and last newsletter of this year. That may sound cynical. We have seen more and even bigger corruption scandals revealed, money laundering risks are on the rise, and journalists around the world have lost their lives over reporting about corruption. This is anything but great. The great part of the year is that there are significant positive developments that counterbalance these worrying trends. Innovative technologies, increased beneficial ownership transparency and better mining of open-source data are helping to shine light on corruption. We support this with the Basel Open Intelligence tool and training courses on virtual currencies. Citizens continue to raise their voices and vote with their feet and voting cards to protest against corruption. Our research into social norms and behavioural aspects of corruption help strengthen their resolve. A similar enthusiasm can be felt in all corners of the world in creative and context-sensitive private sector initiatives to prevent bribery in business transactions. We are privileged to be advising many of these through our Collective Action team. Finally, we have again recovered more than USD 20 million of stolen assets this year alone through sophisticated asset recovery action in our partner countries. We are proud of these achievements and look confidently into the new year, hoping we can count on your continued support and cooperation to make life hard for those who think they are above the law. The Basel Institute team wishes you a happy festive season. Let us know if you have put “Basel Institute assistance” on your wish list this year; we are here to support you. Our 3rd International Collective Action Conference in Basel, Switzerland, was a lively and productive occasion, attended by over 200 people from 40 countries across 5 continents. Over two days of panels and breakout sessions, experts from business, the public sector, law enforcement, academia, civil society and more shared their wide-ranging experience in using Collective Action effectively to tackle corruption and prevent bribery. The International Centre for Asset Recovery (ICAR), working through our country office in Peru, is proud to be breaking new ground in the country with two landmark asset recovery cases. 1. The Peruvian judiciary has confiscated a Luxembourg bank account belonging to James Stone Cohen, former arms dealer of convicted Peruvian politician Vladimiro Montesinos. The USD 1.5 million account has been frozen since 2001 and, after years of legal wrangling, a Peruvian confiscation order is now being executed in Luxembourg. 2. In a separate but related case, ICAR has participated in the recovery of USD 15 million from a Swiss bank account belonging to Víctor Venero Garrido, (another) frontman of Vladimiro Montesinos. This is the first case in which the legal device of extrajudicial settlement has been applied for an asset recovery process in Peru. It is hoped that the successful conclusion of this landmark case will serve as a model for mechanisms that allow fast, efficient resolution of asset recovery processes in cases of transnational corruption. 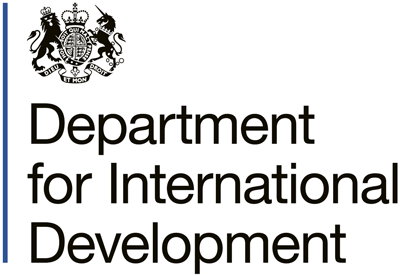 The programme to support SMEs in doing business with integrity is led by the UK Department for International Development. The Basel Institute has been awarded a mandate to provide anti-corruption guidance services to SMEs in a pioneering project piloted by the UK's DFID as part of their new Business Integrity Initiative. The main goals of this Initiative are to attract investment into high-risk markets in Asia and Africa, tackle the supply side of bribery and use the influence of investors to engage with host governments and create a clean business environment. SMEs that meet the eligibility criteria can submit an application for guidance services in Collective Action, Compliance and Prevention. Search result page showing an open-source search conducted with BOI. Basel Open Intelligence is a tool that supports due diligence and financial investigations through targeted searches of open-source information on individuals and companies. The latest release features faster search performance, the ability to search for multiple subjects at once and the option to search for variations of names and keywords. Developed by the Basel Institute, the tool is free for public agencies eligible to receive development aid and reasonably priced for other organisations and companies. Project founder Karina Litvack explains the goals behind the Tainted Assets Initiative. The official launch of the Tainted Assets Initiative took place at the Basel Institute’s Conference on Collective Action in November. Supported by the Basel Institute and the OECD Secretariat, this multi-stakeholder initiative aims to develop a practical resolution mechanism to enable companies and countries to address historic “taint”, such as a legacy of corruption, in assets they hold or wish to acquire or dispose of. Investigative journalists and other participants at a previous workshop in Bucharest. 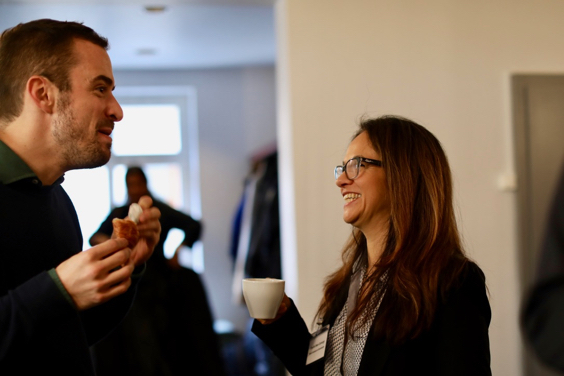 In collaboration with the RISE Project and Organized Crime and Corruption Reporting Project (OCCRP), we are holding a training workshop on Financial Investigations and Asset Recovery in Basel on 13–14 February, 2019. Investigative journalists and representatives from law enforcement, civil society and financial institutions within Switzerland are invited to apply for the 15 free spaces available. Students analyse a blockchain to "follow the trail of the money" and solve a simulated investigation. 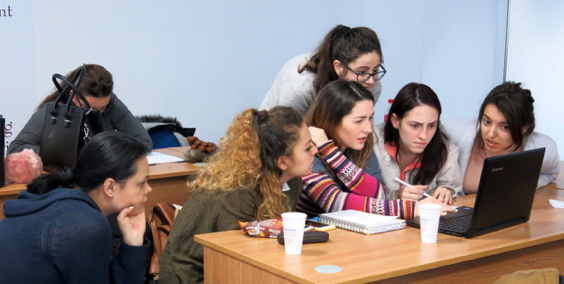 Our ICAR trainers delivered training on “Money Laundering using Cryptocurrencies and International Co-operation” for students at the Romanian-American University in Bucharest. The huge demand for the three-day workshop reflects fast-growing demand from all sectors for training in blockchain technologies, cryptocurrencies and money laundering. A participant learns how to set up a Bitcoin Wallet. The Basel Institute on Governance is partnering with Zurich-based MME to offer a training course on blockchain, cryptocurrencies and anti-money laundering/countering the financing of terrorism (AML/CFT). The two-day FinTech AML Compliance Training covers the essentials of blockchain and how to adapt AML/CFT processes to the FinTech industry. Released in October, the results of the seventh annual Basel Anti-Money Laundering Index hit headlines around the world and attracted nearly 5,000 visitors to the web page in the first week. The Basel AML Index showed that most countries are making little or no progress toward ending money laundering and corruption. Public transparency is also showing signs of decline. In the wake of the Danske Bank and similar scandals across Europe, the Basel AML Index also confirms that European jurisdictions are clearly still underestimating their risks. The Basel AML Index is an independent, research-based ranking that assesses countries' risk exposure to money laundering and terrorist financing. With more comprehensive and customisable data sets, the Expert Edition of the Index is seeing increasing demand from universities, NGOs and major public authorities. The Expert Edition is also used by companies worldwide for due diligence and risk assessment purposes. A paper on Informal networks: the invisible drivers of corruption and implications for anti-corruption practice. A new journal article on Informal Governance: Comparative Perspectives on Co-optation, Control and Camouflage in Rwanda, Tanzania and Uganda. A working paper on The Ambivalence of Social Networks and their Role in Spurring and Potential for Curbing Petty Corruption Comparative Insights from East Africa. Our Public Governance division will lead a two-year DFID-funded project to develop a behavioural anti-corruption intervention for the Tanzanian health sector. We are delighted to partner with the University of Dar es Salaam, the Behavioural Insight Team and the University of Utrecht for this project. Participants of a training workshop in corruption research conducted in Malawi by our Public Governance division. Experts from several divisions of the Basel Institute are working together to support a comprehensive review and update of the Malawian National Anti-Corruption Strategy. As well as providing technical expertise throughout the process, we are supporting nationwide consultations in all areas of society to ensure that the new strategy is inclusive. The consultations will provide the necessary footing to successfully implement the new strategy from 2019–2024. The review is part of the Tackling Serious and Organised Corruption project in Malawi funded by the UK Department for International Development. Against the backdrop of continued challenges in battling financial crimes in Mozambique, the Attorney General of Mozambique has requested the support of our International Centre for Asset Recovery in advising on the investigation of international corruption cases and assessing the country’s current asset recovery framework. With the support of the Swiss Agency for Development and Cooperation, ICAR has mobilised its expertise with the aim of setting up longer-term capacity-building measures and judicial/regulatory reforms. Graduates from the Peruvian province of Lambayeque, November 2018. In November 2018, students from the Peruvian regions of San Martín, La Libertad, Lambayeque, Apurimac and Cusco graduated with a Diploma in Management and Public Finances. 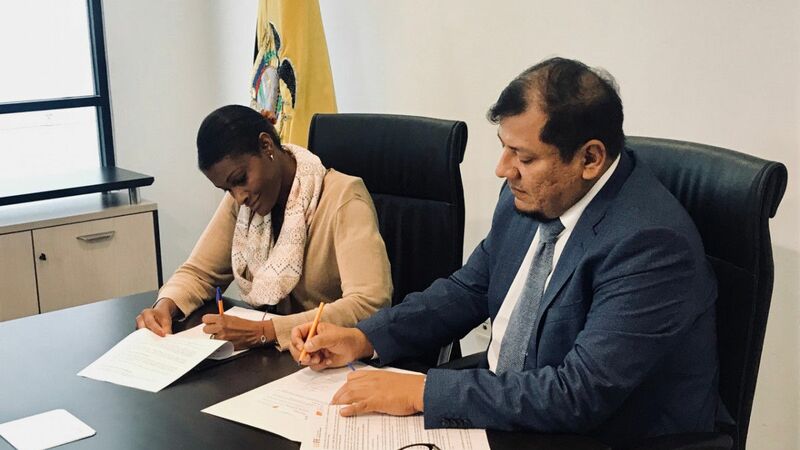 This successful capacity-building initiative is thanks to a partnership between ESAN University in the Peruvian capital Lima and the Subnational Public Finance Management program funded by SECO and implemented by the Basel Institute on Governance. Dr. Solórzano signs the agreement with UAFE director Diana Salazar during a two-day mission to Quito. We look forward to working more closely with the Financial and Economic Analysis Unit (UAFE) of Ecuador on the fight against corruption, money laundering and other financial crimes. Oscar Solórzano, Country Manager of the Basel Institute's Peru office, signed a Case Consultancy Agreement with the director of UAFE on 29 November during the team's third mission to Quito. International Arbitration and Corruption conference: "A toolkit for arbitrators"
The workshop, entitled International Arbitration and Corruption: A Toolkit for Arbitrators, takes place at the Faculty of Business and Economics, University of Basel, on 10–11 January 2019. We are excited to welcome four new members to our growing global team. Phill Jones joined the Basel Institute on Governance in November 2018. He is a former Officer of the UK National Crime Agency and has specialised in the investigation of serious and organised crime and terrorism both in the UK and internationally. Margarida Bandeira De Lima has joined us as Senior Asset Recovery Consultant in Mozambique. She will use her 31 years of experience in public prosecution, capacity-building and related fields to undertake a 4-month technical assessment of the country's asset recovery framework. Olivera Royer has joined the Basel Institute as ICT Officer. Olivera has more than 10 years of experience working in first-level support and will be responsible for all IT-related issues at the Basel Institute headquarters. We thank Olivera's predecessor Christian Müller warmly for his four years of dedication and hard work, and wish him the very best in his future career. Dr Nana Adrian has recently joined us for an internship. Nana is a behavioural economist who received her PhD from the University of Bern last August. She will be supporting our team in developing new research proposals that integrate behavioural insights into anti-corruption practice. Soji Apampa, CEO, Convention on Business Integrity, speaking at the International Collective Action Conference in November 2018. Recent corruption scandals have shown the negative effects that corruption may have in countries around the world, including those of the Latin American and Caribbean region. The Inter-American Development Bank has therefore convened an independent group of experts composed by eight governance and anti-corruption scholars and practitioners to identify innovative and effective approaches to combat corruption in the region. Drawing on the members’ decades of experience, this report analyzes the key features of corruption in the region and proposes an ambitious agenda toward more systemic transformation. The report targets a series of measures aimed at strengthening the rule of law and public institutions, addressing state capture, and helping to meet citizens’ aspirations for sustainable and inclusive development. Hence, the report recommends a multi-layered approach that requires collective action by governments, the private sector, civil society, and international institutions to tackle the roots of corruption and capture through global, regional, and domestic initiatives. Both in investment and in commercial arbitration, arbitrators face considerable challenges if a party alleges – or the arbitrators suspect – that corruption has influenced the underlying dispute. What are the requirements for the proof of corruption in arbitration proceedings? What are the legal consequences of corruption in arbitration? How can arbitrators become aware of corruption in the first place? The aim of the workshop is to follow up on the Competence Centre for Arbitration and Crime's January 2018 conference. The “toolkit for arbitrators” workshop will look in detail at how arbitrators can address these issues and find solutions in accordance with the applicable law. Key speakers and session chairs include Professor Mark Pieth, Lord Peter Goldsmith QC, Carolyn B. Lamm, Yves Fortier QC and Professor Emmanuel Gaillard.